From the manager to the waiters to the chefs, I could not tell if they were actually Singaporeans. 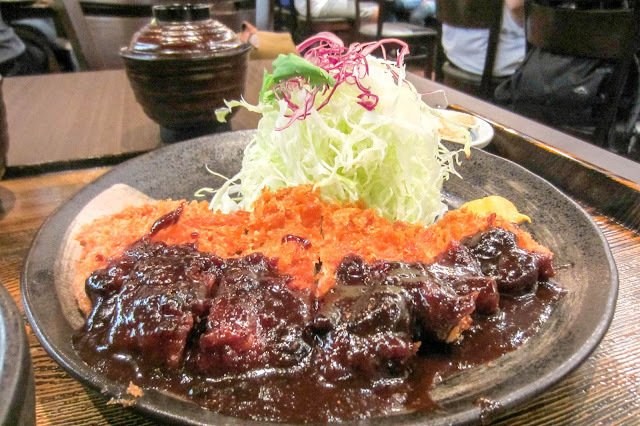 Speaking in Japanese, the chef would respond "はい (Hai – Yes)" to every order. In fact, they have a Japanese accent when they speak. Yet, when they took our orders in English, it was quite obvious that they were Singaporeans. I was amazed at how they could mimic the Japanese so well. The dining experience really made me feel like I was in Japan. 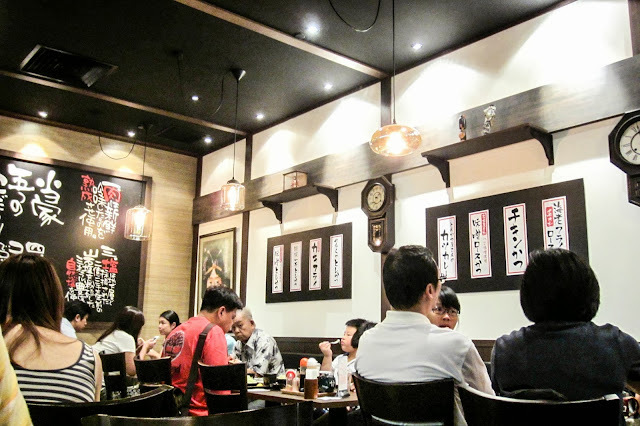 All mains include unlimited fresh cabbage, unlimited rice (choose between White, Japanese or Multi-grain rice), unlimited miso soup and unlimited roasted Japanese barley drink. The pork was juicy with a delightfully crunchy coating. The miso sauce initially came across as quite salty, but after getting used to the taste, it reminded me of Marmite. The meat used was less fatty as compared to the pork loin, but combining miso with katsu was truly an ingenious masterstroke. I shared this deep fried pork loin (150g) with my father and we ordered an extra rice/barley/miso soup/cabbage set (SGD4.50++). It was the freshest pork I have ever tasted. As you sink your teeth into the juicy meat, there is a satisfying crunch in every bite. 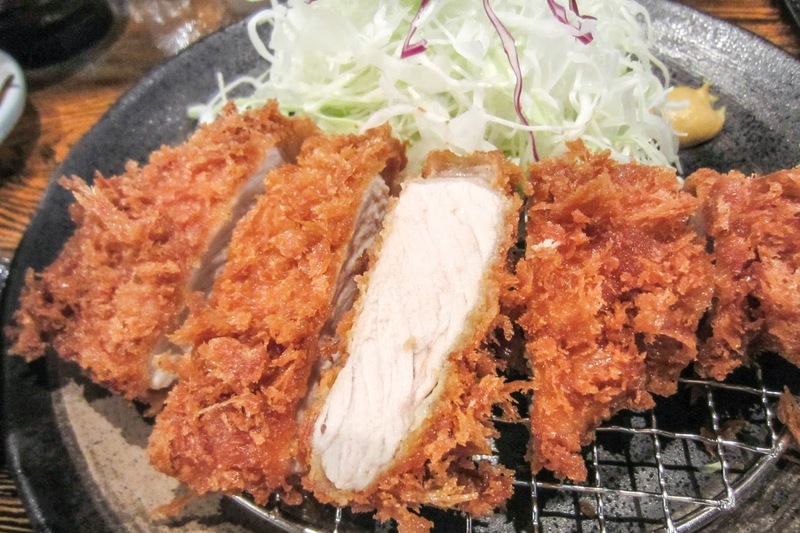 The best part is that the katsu does not feel oily at all! 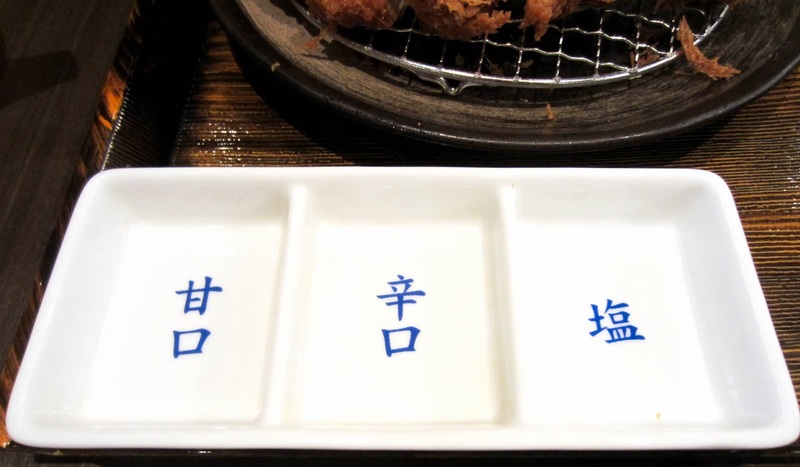 The Japanese are very organised, even in the presentation of their sauces. You have to put the sauce according to the labelling, which refers to sweet (left), spicy (centre) and salt (right). 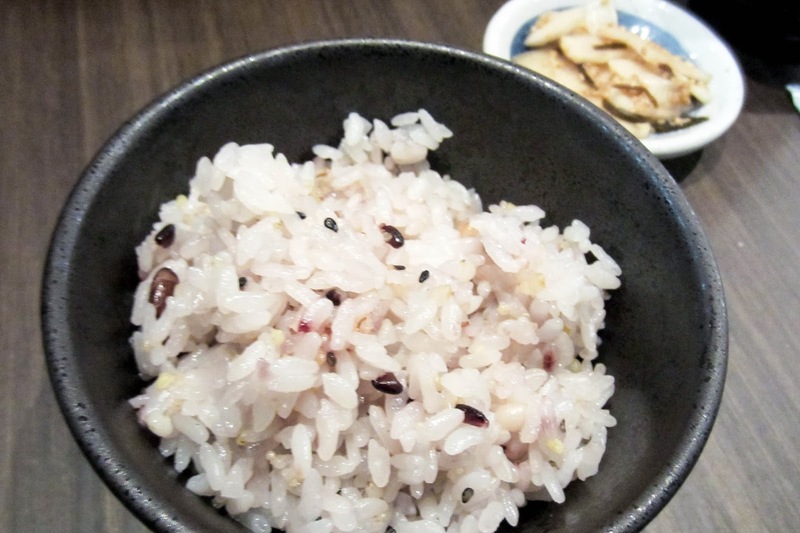 I would recommend going for the multi-grain rice as there are kidney beans in it. The miso soup that came with the set was so delicious that I could not resist helping myself to numerous refills. It was indeed no ordinary miso soup, as there were bits and pieces of meat, carrot and vegetables. I also loved the enthusiastic, cheerful and friendly staff there. When I passed by the bistro the next day, the waiter still recognised me, smiled and said, "いらっしゃい (Welcome)".